The world was presented with a special gift the day that Irish woman Monica Gallagher gave birth to a son on 2nd March 1948 in the town of Ballyshannon in County Donegal. This post-war child in neutral Ireland would grow up to become one of the true legends of a country which enjoyed the riches of artists, poets, writers and musicians since time immemorial. He was actually christened Liam Gallagher but adopted the name Rory for himself. But his fame would spread beyond the shores of the Emerald Isle and today long after his death people from all rock n' roll corners of the world still revere one of the greatest blues guitarists ever to walk the earth. How ironic then and fitting that he be born kicking and screaming in a place called Rock Hospital. But then music ran in the family as his father was a singer and accordion player with the Tir Chonaill Ceile Band in Donegal and his mother Monica was a singer and actress with the 'Abbey Players' in Ballyshannon. His family moved there when he was eight years old and in between they had actually lived in Derry in Northern Ireland since 1949 before heading back south. So it seemed that Rory was always destined for the gypsy lifestyle and would forever be travelling on the road. But it was in Cork that he received his first wooden guitar from his parents and began a life-long love affair with the instrument. Young Rory idolised the skiffle music of his hero Lonnie Donegan but he was also being excited by the new music of rock n' roll of Elvis Presley, Buddy Holly, Chuck Berry and Gene Vincent. Nevertheless it must have been an incredible surprise Christmas present when at a concert at the Albert Hall in December 1975 Lonnie Donegan appeared onstage to introduce Rory to the audience. And it must have been a tremendous honour for the modest young Irishman to record with Donegan in 1977 alongside such luminaries as Elton John, Ron Wood, Ringo Starr and Brian May. It wasn't the only time he played with his heroes or musical contemporaries. But back in the early days at the age of fifteen he entered the premises of Michael Crowley's music shop on Merchants Quay in Cork on a covert mission to capture a Fender Stratocaster '61 that he had seen in the window and had yearned to own. The cost of £100 in 1963 was a huge amount for a young man but in exchange for an old guitar and an instalment plan a deal was done. Apparently it is said that it was the first stratocaster to have ever appeared in Ireland. Thus began a secretive campaign to avoid his mother finding out about his extravagance as the guitar was hid in a cupboard. The stratocaster stayed with Rory all his life and he even took a beating one night when a riot broke out during a gig by his band The Fontanas at a local village. Rather than have the instrument destroyed by the baying mob who stormed the stage he threw his body over it like a protective father of a helpless child. He was badly beaten and was off school for two weeks. When the Christian Brothers at his religious school found out he had been perpetrating the Devil's music he was beaten again. He was actually separated from his beloved guitar when the bands van was broken into and it was stolen. Rory was devastated but after an announcement on a local Police TV programme the instrument was too hot to touch and was quickly returned. Therefore it could be hard to rock n' roll in a staunchly Catholic country of Ireland, especially during Lent when all the clubs closed down in the run up to Easter. This led the band, who were now called 'The Impact' to take the boat over to England and try their luck over there. They also secured gigs in Spain but Rory decided to leave the band despite their moderately successful track record. They had supported The Everly Brothers, The Byrds and The Animals but Rory had other ambitions. In 1966 he formed the legendary band Taste with Norman Damery on drums and Eric Kitteringham on bass guitar and they quickly gained a foothold in the music business. A popular attraction in Germany due to the many NATO bases across the country where G.I. 's hungered for some authentic rock n' roll and the sound of their homeland. However at the insistence of the management of their record label Polydor, Norman and Eric were replaced with more experienced musicians in the shape of Richard McCracken on bass and John Wilson on drums, both from Belfast. It was a condition of securing a record deal and a difficult decision for Rory to accept. But accept he did and Taste moved on to a new level. 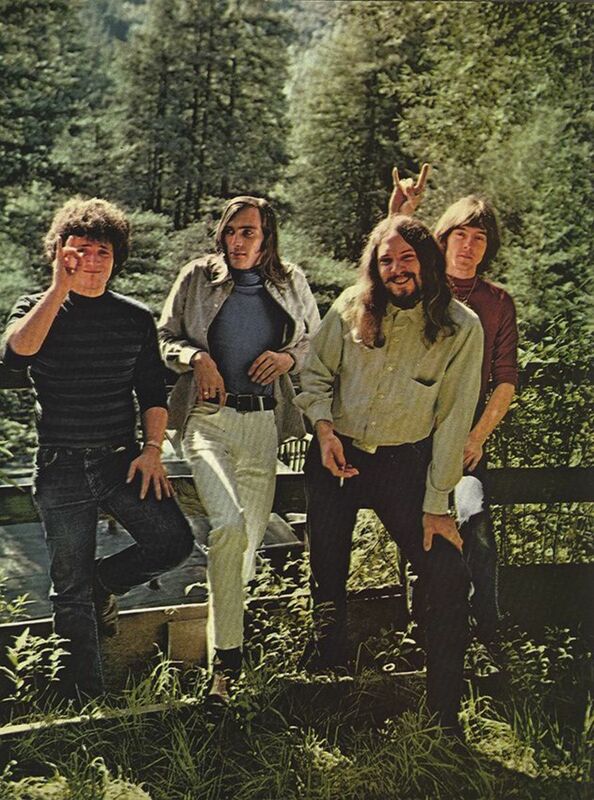 They enjoyed great popularity and appreciation until they split in December of 1970 when Rory decided to go it alone. 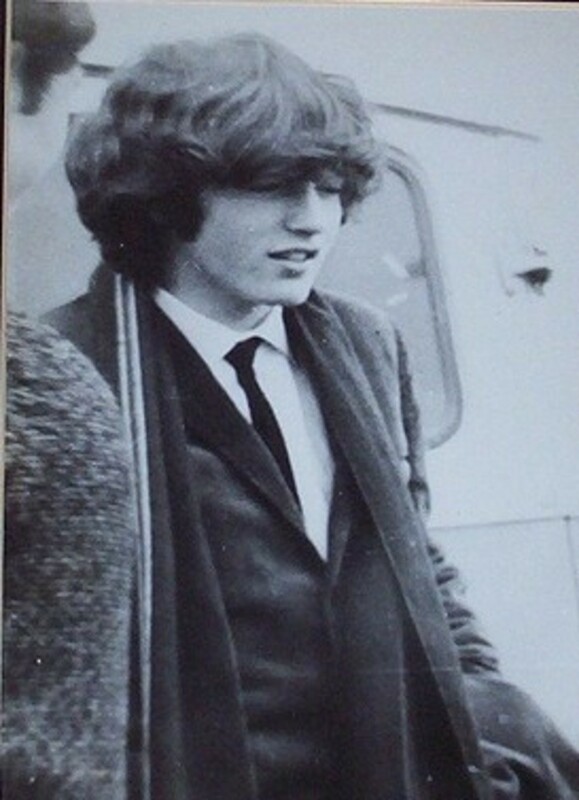 Brian May of Queen and Jimmy Page of Led Zeppelin were friends of Rory and in fact Queen supported Taste in one of their earlier gigs at Dunstable College in England. Brian May credits Rory with influencing his guitar and his use of the Vox AC30 amplifier. He remarked that "He gave me my sound" on BBC Radio. As a youngster he had approached Rory after a gig and asked how he got that distinctive sound, a guitar sound you may recognise on Queen records . 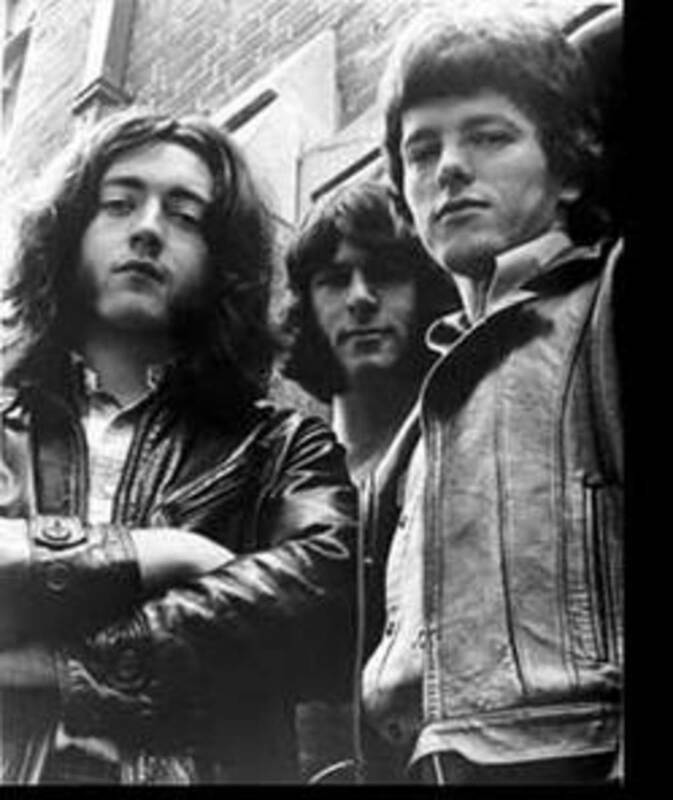 Even the younger generation who followed in the wake of the famous guitarist of the 1960s and 70's idolised Rory Gallagher. Kurt Cobain cited him as an influence and Slash eulogised over the impact he had on his career and on a treasured occasion when Rory and he jammed a few songs together at The Roxy in Los Angeles in 1991. According to Slash "For me it was like playing with an all-time hero" and he was struck by how genuine and modest Rory was off-stage. He was in demand professionally too and was considered as a possible replacement for Eric Clapton in Cream as Taste were on the same record label. Such was the high regard in which he was held as a guitarist he beat Eric Clapton and Jimmy Page to be awarded 'Musician of the Year' in 1972 by Melody Maker magazine. A worthy accolade which put him up there with the greats as if anyone doubted it anyway. The following year he headlined at the prestigious Reading Festival in England, an event that he appeared at more than any other artist. He was a top attraction again in 1976 and 1980 putting him on a par with the likes of The Faces, The Kinks, Thin Lizzy and The Police who all headlined during the same era. He almost joined The Rolling Stones in 1974 after the departure of Mick Taylor and along with Jeff Beck was also wanted by David Coverdale to replace Ritchie Blackmore in Deep Purple. But despite the temptations of superstardom Rory remained his own man and charted his own course throughout his musical career. He was of that rare breed who played music purely for the love. It was his vocation, his obsession and like Hendrix the guitar was like an extra limb, a completely natural extension in perfect symbiosis with his body. 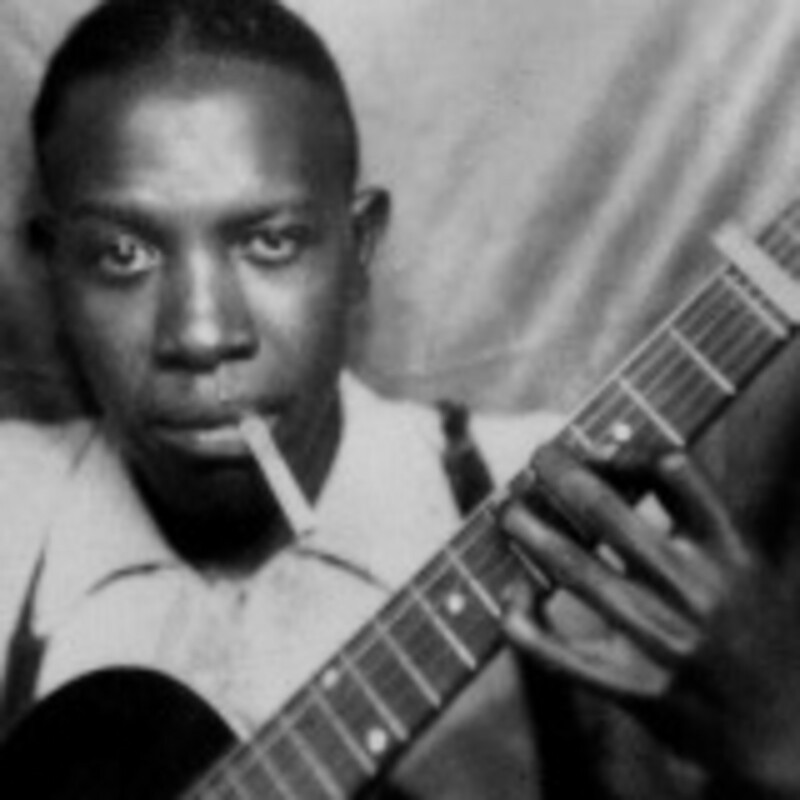 But highest of all in his musical influences was the blues. He loved to listen to the pioneers of the genre such as Eddie 'Son' House, Charley Patton, Blind Boy Fuller, Sonny Boy Williamson and Big Bill Bronzy. His interpretation of Leadbelly's 'Out on the Western Plain' was a regular acoustic favourite during Rory's performances. Needless to say that one of the proudest moments in Rory's short life was recording an album with Muddy Waters in 1971 called 'The London Sessions' where he joined the likes of Stevie Winwood and Mitch Mitchell in tribute to their collective hero. He also played alongside Peter Frampton and Alvin Lee when they collaborated on a second 'London Sessions' album by keyboard wizard Jerry Lee Lewis, another of their heroes. In the previous year it was the blues that led to the demise of Taste as Rory embarked on a solo career to concentrate on music he loved more than any other. But the band had burned brightly for five years including regular appearances at the Marquee Club in London as well as a prestigious support slot with Cream at their farewell show in the Albert Hall. They also supported supergroup Blind Faith on their North American tour. But they were never so dazzling than their now legendary appearance in 1970 at the Isle of Wight Festival. With the messianic attractions of Jimi Hendrix, The Who, The Doors, Emerson Lake and Palmer, Miles Davis, Joni Mitchell and many other sixties superstars it was little wonder that the gathering was a 300,000 sell-out. But Taste were one of the surprise hits of the festival playing an unforgettable set which included five encores. It was a seminal moment in Rory's career and thankfully was captured forever on record and which is available today. One of the highlights was a fourteen minute version of 'Catfish' their slow blues burner as well as 'Sinner Boy', 'Blister on the Moon' and this song 'Gambling Blues'. But Rory had come to the notice of the high and mighty already who appreciated his music and admired his guitar playing. John Lennon had said as much in 1969 in the pages of the 'New Musical Express' magazine and had seen Taste twice in concert. In later years Rory even had to play the peacemaker between a bad-tempered Jerry Lee Lewis and Lennon in the keyboard king's dressing room at a show in Santa Monica. It had all been a misunderstanding between the two legends but without the calming presence of the gentle Irishman it could have turned into a nasty scene. He was far from gentle on stage as let himself go with the freedom and the power of performing live. Rory was outstanding as a live performer and purely through his incredible playing, his force of personality and his tangible love for the fans. In fact such was the intensity of his stage performances his perspiration mingled with the grain of his beloved stratocaster and warped the neck. 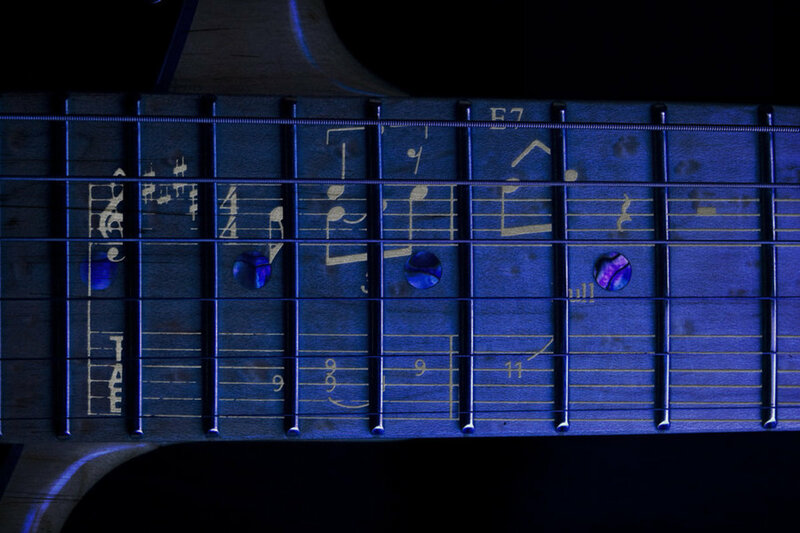 It also damaged the body of the guitar as his rare blood-type had a high acidic content which caused his sweat to gradually burn its way through the paint. In the words of Jean-Noel Coghe "So with his own sweat and blood, Rory created a very special guitar" which became his trademark as he toured the world with his seemingly battered and bruised instrument. Through his life he accumulated a collection of around 150 guitars but the 1961 Fender was always the one with which he would be associated. It has become an iconic image forever identified with the great man and which travelled the world wherever the music took him and the fans were waiting. 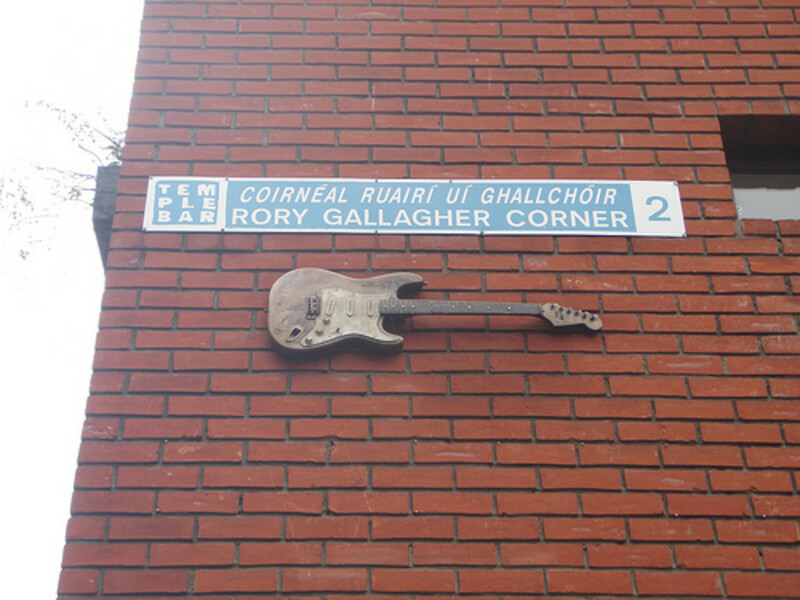 A life-size bronze replica of the guitar is now on display at 'Rory Gallagher Corner' in the Temple Bar area of Dublin. He genuinely loved to play for his audience whether they be 30 or 30,000 in number and the fans loved him in return. He required no gimmicks, props or elaborate stage productions. There was no dry-ice, laser beams or Spinal Tap moments of cringe-inducing scenery and in an age of Glam Rock of spandex and lip-gloss, feather boas and platform boots. Rory would just walk on stage in his trademark check-shirt, jeans and trainers. After a polite "Good Evening" to the crowd or the entreaty "Let's go to work" he would get straight down to business and the magic would flow from his fingers and the alchemy erupted between him and the band members. Almost three hours later the band and the crowd would all leave the place exhausted but elated. It has been said that Rory lacked onstage charisma but this is missing the point completely. He was the embodiment of charisma and needed few words to enchant his audience. His guitar strings were his vocal chords as he made it scream and he made it yell. He spoke through his guitar, through his music and through his mere presence. And that was enough to drive a crowd wild and raise the roof wherever he went. One night in Nottingham, England things went too far and the crowd invaded the stage. Rory's bodyguard Tom O'Driscoll sprang into action and started throwing people back into the crowd. However he got so carried away he mistakenly threw Rory off the stage too. But after a gig he was ever the gentleman and Rory always had time for autograph hunters and well-wishers and many people were personally captivated by his self-effacing charm and approachable manner. Devoted as he was to his love of the Blues he would spend endless hours listening to the classic tunes of the Mississippi Delta, researching and learning the styles of the heroes he adored and seeking out the names of the songwriters. He was truly dedicated to his craft and would share this knowledge and love of the music with others at a post-gig meal or just chilling during quiet times away from the maelstrom of the tour circuit. It could be friends or fellow musicians or even the legendary Bob Dylan who asked to meet Rory backstage at the Shrine Auditorium in Los Angeles in 1978. Rory's brother Donal had actually turned him away before realising who he was and quickly made amends. Perhaps Rory also chatted about the origins of their music with Jimi Hendrix when they met on the Isle of Wight. He was a perfectionist in the studio and would rehearse and record take after take sometimes listening to the tracks twenty times or more and analysing minutely all the nuances of the music. He would even dump a whole number of songs and record them again from scratch. It was important for him to have the right feel and the right atmosphere for an album recording and so he rarely recorded in the same place twice. All the more surprising then that his best recordings came from his live albums and he admitted that "I could live without recording, but I couldn't live without playing live" and this is apparent on his back catalogue. Not long after he launched his solo career he released 'Live in Europe' in 1972 which was a Top 10 hit in the UK followed by the 'Irish Tour' album of 1974. The latter also spawned a memorable documentary film by Tony Palmer and is now available on DVD. It wasn't until 1989 that 'Stagestruck' came out comprising a collection of live tracks from various venues. The song 'Moonchild' in particular is superb with a blistering guitar solo from Rory. You will also find official live recordings on 'The BBC Sessions' released in 1999. a double CD which also includes studio recordings. Another posthumous release in 2001 was 'Meeting With the G-Man' a live recording of a 1993 show at The Paradiso in Amsterdam. But even quality bootlegs could surpass in passion and intensity many of his studio recordings. Such an example is his legendary set played in New York State in 1974 where his barnstorming finale of Canned Heat's 'Bullfrog Blues' was never better in a 12 minute blast of sheer rock n' roll and which fully included all four musicians. Here is a version from 1976 on the BBC 'Old Grey Whistle Test' music programme. A Radio Clyde recording from 1982 of a gig at the Apollo Theatre in Glasgow, Scotland is doing the rounds as is an accompanying interview with Rory by Scots DJ Tom Russell. I can testify to the quality of the recording and my friends can recall the gig. Unfortunately I never saw Rory Gallagher live as I was embroiled in the new metal music of the likes of Iron Maiden and ACDC. The Blues came much later to my record collection and I always regret not having seen him in concert. Another recording is available from a gig in Cologne 1990 when Jack Bruce joined him to play some tunes including 'Politician', 'I'm Ready' and 'Born Under a Bad Sign' which may be on the shelves at local markets. Rory seemed to come alive on stage, never loud-mouthed, never outrageous but always electrifying, plugged in and switched on full blast on a natural high of the music. His solo career began in 1971 along with Belfast man Gerry McAvoy on bass who would be his sparring partner for over 20 years. Wilgar Campbell was on drums but had a much shorter time with Rory. Because of an intense fear of flying he gave up the band as he couldn't face the stress of touring and he left in June 1972. He was replaced by Welshman Rod de Ath and the band were also supplemented by Lou Martin on keyboards. But before then the debut album was on the shelves to much acclaim with stand-out tracks such as 'Sinner Boy', 'Laundromat', 'Hands Up' and the beautiful and haunting ' I Fall Apart' a finely constructed and moving ballad. Rory now had the control and independence he needed to pursue his solo career. The album was produced by himself and the songs were published through his own company called 'Strange Music'. This marked out his single-minded determination to be the master of his own fate in the cut-throat world of the music industry. In an interview Rory summed up his attitude to his music and to the record industry. "I always believe that what I do should be outlaw music. My attitude in a funny kind of way was always a punk attitude. I think all the best artists are outside of the system." And that's how he ran his career, always on his terms and never to the dictates of the corporate world. His brother Donal became his manager which must have been a great help to Rory. Donal dealt with the business side and shielded Rory from the pressures and demands that can be heaped upon a rockstar. 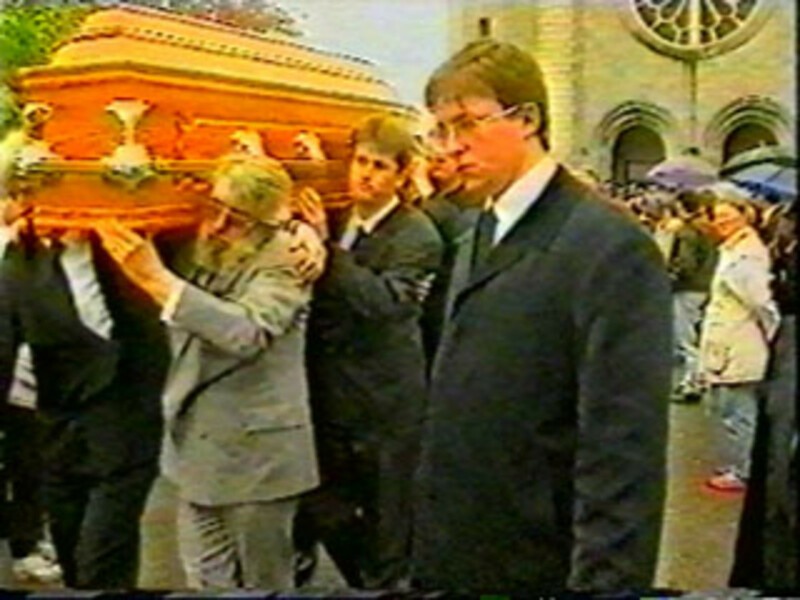 After Rory's death Donal was also instrumental in the re-releasing of the back catalogue including never before released tracks. Interestingly on the debut album he eschewed the heavier guitar sound of the Taste years in favour of a lighter and more clear riff. But he would return to the heavier sound in later albums. The follow-up album 'Deuce' later in that same year of 1971 was also a strong album including the opening track 'Used to be' and the upbeat 'In Your Town' a splendid slice of Rhythm and Blues and fine guitar. Such Indie-Rock aficianados of the guitar Johnny Marr of The Smiths and John Squire of The Stone Roses derived inspiration from his music. Johnny Marr in particular spoke of practising to 'Deuce' as a youngster claiming it "was a complete turning point for me as a guitar player" in an interview with 'Guitar Magazine' in 1997. Certainly you can hear how some of the songs influenced The Smiths' music. The light-fingered almost jazz-like riffs of 'Maybe I Will', 'There's a Light' and 'I'm Not Awake Yet' could easily have the vocals of Morrisey singing over them. In tribute Marr said "What he stood for was integrity, it ran through everything he did." Rory was highly prolific in the studio releasing almost one album for every year in the 1970s on average. In 1973 both 'Blueprint' and Tattoo' were released. The former contained 'Walk on Hot Coals', 'Daughter of the Everglades' and 'Hands Off'. The the latter included 'Tattoo'd Lady', 'Cradle Rock' and the tremendous ballad 'A Million MIles Away'. This was all achieved despite extensive touring in many different countries. However, one of the most respected and courageous decisions ever taken by Rory and for which he is rightly hero-worshipped by many was his insistence on playing gigs in Northern Ireland. He had played there with Taste from 1966 when the nascent Civil Rights movement was beginning to voice its protest. But even after the outbreak of the Troubles and the most violent years of the early to mid 70's Rory Gallagher never turned his back on the young kids of Belfast and Derry when others had shunned the troubled streets of the province. As Gerry McAvoy recalled about one gig, "A couple of bombs went off in the city centre but Rory wouldn't have stopped for anything" and he played to an audience comprised of kids from both sides of the religious divide brought together for one night. In fact the most danger that the band experienced was in Athens during an election campaign in late 1974 after the Greek military junta had fallen. Rioting broke out in the streets and they could see smoke and fire from buildings burning in the near distance. Then tear gas flooded the football field they were playing on after the police fired at the crowd. But in Ireland his stompin song 'Going to My Home Town' with mandolin and thumpin drum beat became the adopted anthem of the Belfast crowd at the Ulster Hall who took the tune as their own. Here is a clip from Tony Palmer's film that captures the atmosphere of one night in 1973. Despite his magnificent obsession with the Blues, Rory was never averse to experimenting with other musical styles. During the early 70's when he and Donal shared a bedsit in London he would practice the saxophone. In order to avoid the displeasure of the landlord he would shut himself in a wardrobe and diligently learn this new instrument. The influence of Jazz was perhaps most prominent on his 1976 song 'Calling Card' from the album of the same name. Another track called 'Jack-Knife Beat' also had a strong jazz feel especially with the elegant piano of Lou Martin backing up the guitar. The previous year of 1975 saw the release of 'Against the Grain' an excellent album again albeit with three cover versions out of ten songs on the original vinyl. However his interpretation of 'I Take What I Want' was breathtaking and 'Bought and Sold' was a marvellous slice of catchy R n' B straight from his own pen. Wthout a doubt if he were still alive he would be considered an elder statesman of Rock and Blues. Surely he would be feted by the 21st century generation of guitarists and the subject of a thousand tributes. As it is today, all over the world there are countless tribute bands continuing his music in his memory and for our enjoyment. His birthplace of Ballyshannon has a theatre named after him and also holds an annual three-day festival to celebrate his life and music which attracts bands and fans from the UK, the USA and Europe. Rory was massive in some parts of Europe and was a regular at many festivals including the famous Montreux Jazz Festival in Switzerland. He also appeared at the Rockpalast shows in Germany and in fact in 1977 was the first artist to appear on its TV broadcast from a live concert at the Grugahalle in Essen. Through the Eurovision broadcasting network this had a potential audience of 100 million people across the continent. Today he would be up there with Springsteen, Clapton and the late Johnny Cash with TV specials, guest starring on albums, jamming with the best, an MTV-unplugged concert and an honoured guest appearance at the Glastonbury Festival. This is all speculation of course but I am sure that all this would have awaited him had he lived. The fortune and fame that he spurned throughout his life may have inadvertently come his way through the sheer genius of his repertoire and the love and respect of millions. In 1978 Rory had again showed his single-mindedness of purpose and direction by returning to a three-piece ensemble. Lou Martin left the band as Rory felt the keyboards were restricting his ideas of how he wanted the music to progress. He wanted to recapture the raw basics of a power trio. However, drummer Rod de Ath also left and was replaced by another Celt in the shape of Scotsman Ted McKenna who had previously played with the Sensational Alex Harvey Band and who would later join the Michael Schenker Group. It seemed a change well founded as the resulting album 'Photo Finish' in 1978 was without doubt one of Rory's best studio albums, if not the best. It contained brilliant tracks like 'Shadow Play', 'Fuel to the Fire', 'Shinkicker', 'Last of the Independents' and 'Brute Force and Ignorance'. It resonated with a vibrance and vitality perhaps indicative of the fresh blood on board and its effect on an invigorated frontman. The following year produced another really strong album in 'Top Priority' which contained what became classic Rory Gallagher tunes. Songs like 'Follow Me', 'Wayward Child' and 'Bad Penny' are among the best he ever wrote. 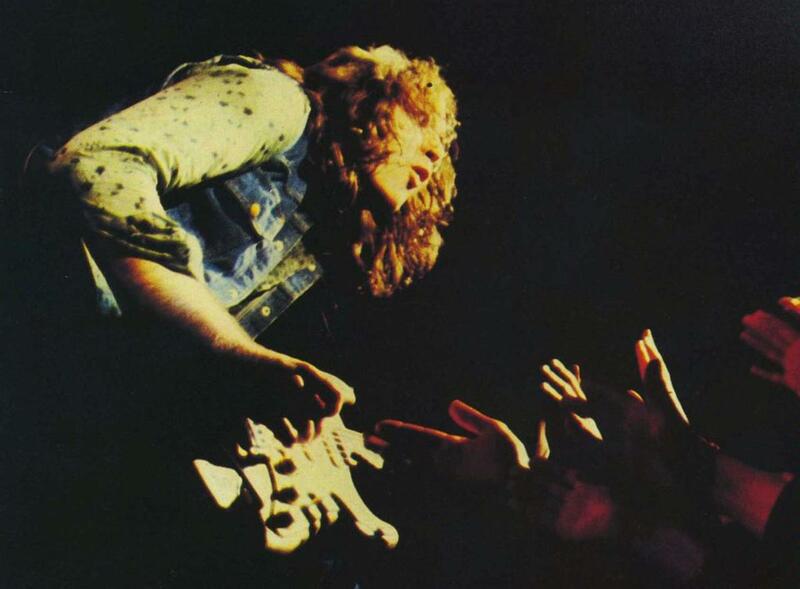 Rory produced many memorable moments live on stage but I would say none more so than this 10 minutes of madness and mayhem at Montreux in 1979. With Gerry on bass and Ted on drums he rips up the stage and sets the place alight. I never tire of watching this remarkable footage. Ted McKenna left after two albums and was replaced by Brendan O'Neill who drummed on another great album 'Jinx' released in 1982. It proved to one of Rory's most all-out Rock albums graced with an excellent production that enhanced many tracks such as 'Big Guns', 'Bourbon' and 'The Devil Made Me Do It'. Also if you listen to the song 'Double Vision' for the first time you may find the guitar riff strangely familiar if you are a fan of Guns n' Roses. The song 'Bad Obsession' co-written by Slash from the 1991 album 'Use Your Illusion I' undoubtedly takes its inspiration from this track. There was a five-year hiatus before the next album 'Defender' released in 1987. However in-between times Rory had been involved in other projects with different musicians. The album contained a good collection of tunes but not quite in the same class as earlier recordings. The opening track 'Kickback City' provided an inspiring introduction to proceedings but aside from 'Continental Op' and his version of Sonny Boy Williamson's 'Don't Start Me To Talkin', featuring Mark Feltham on harmonica, it wasn't one of his most memorable projects. On his final studio album 'Fresh Evidence' in 1990 he introduced a Celtic style to some tracks. Returning to his native Irish roots with the addition of accordion as well saxophone, trumpets, electric sitar and harmonica. Lou Martin had returned on keyboards and Rory also employed guest musicians to introduce a diverse and 'fresh' sound to the music. This was perhaps his most interesting album due to the variety on styles on display including Jazz, Traditional Folk Music and of couse the Blues and out and out Rock of 'Kid Gloves'. The song 'King of Zydeco' was a tribute to Cajun musician Clifton Chenier and 'Alexis' was named after Alexis Korner, the father of British Blues. As we look back today in reflection, it reminds us how Rory was taken from us too early. He had much more to give, more musical avenues and adventures to explore. 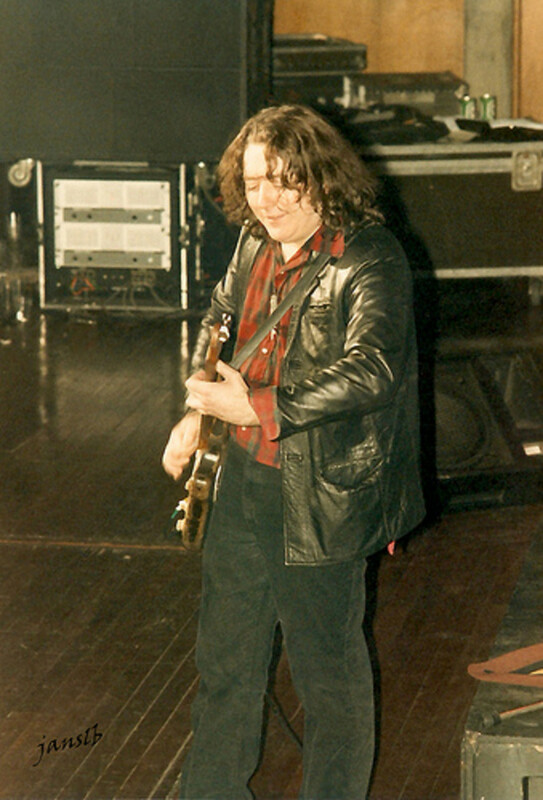 After recording 'Fresh Evidence' Gerry McAvoy eventually left the fold in 1991 as he felt he had taken things as far as he could after over twenty years with Rory. He wanted to pursue other musical projects as did Brendan who left at the same time. They wouldn't know it at the time but they had played on Rory's last ever studio album. The musicians who shared the stage with him during his final years were David Levy on the bass guitar, a daunting role to replace Gerry McAvoy. Jim Levaton and John Cooke who played keyboards and Richard Newman on the drums. Mark Feltham remained as a guest on the harmonica. Unfortunately Rory's personal situation was in decline and he was a troubled man in his forties. He was drinking more and sinking into depressions which were alleviated by prescription medication. He was struggling to cope with the pressures of life and touring with fear of flying and bouts of stress and anxiety including stage-fright before concerts. His emotional and physical health was suffering and Donal was becoming increasingly worried about the health of his brother. Rory was a very private man when it came to these matters so there is an element of uncertainty where and why things started to go off the rails. Jean-Noel Coghe remarked that perhaps the loneliness of the road eventually took its toll on the travelling troubadour. Rory never settled into marriage and never had children so perhaps he sacrificed a great deal of personal happiness to follow his muse. Certainly his intake of alcohol did not help and the sight of his more bloated features suggested that he had a drink problem. But his increased weight was largely due to water retention caused by his medication. However his liver had ceased to function properly and at Donal's insistence he secretly admitted himself to hospital in early 1995. He slipped into a coma but revived. Nevertheless he urgently required a transplant which was carried out at King's College Hospital in London. Never one to make a fuss it was little known outside of close family and friends that he was seriously ill. The transplant was a success but tragically Rory contracted the MRSA virus from which he never recovered. He died on the morning of 14th June of that year. He was 47 years old. His death was an incredible loss to Ireland and to the world of music. The news reverberated around the Rock n' Roll community and the great and the good shook their heads in disbelief and shed some tears that a great man had gone. Ordinary people shared their grief and over 4,000 mourners gathered in Cork for his funeral. Mingled among the local people were also Adam Clayton and The Edge from U2, fellow-Irish guitar hero Gary Moore and Ronnie Drew of the Dubliners who was a coffin-bearer. In the church Lou Martin and Mark Feltham performed an instrumental of one of Rory's classic songs 'A Million Miles Away' and then in St Oliver's cemetery in Ballincollig, a few miles outside of the town. Mark gently breathed the tune of 'Amazing Grace' at the graveside. He then consigned his harmonica into the earth to be buried with his good friend as the world bid farewell to one of its most incredible human beings. However as the mourners assembled at a hotel for the wake there was one last show for Rory. As people milled about, chatting, sipping on drinks and eating snacks Lou Martin spotted a piano and was immediately drawn towards it. He couldn't resist a gentle tinkering with the keys and before he knew it guitars had appeared from nowhere. Mark joined in on harmonica as did the famous Irish singer-songwriter Jimmy McCarthy. How fitting that a jam session took place on the day that Rory was buried. Of course he would have been there with them in spirit as part of an ethereal audience in the upper circle enjoying the sounds of 'Be Bop a Lula', 'Runaway', his own compositions like 'Calling Card' or classics by Bob Dylan and many other of his favourite songs. 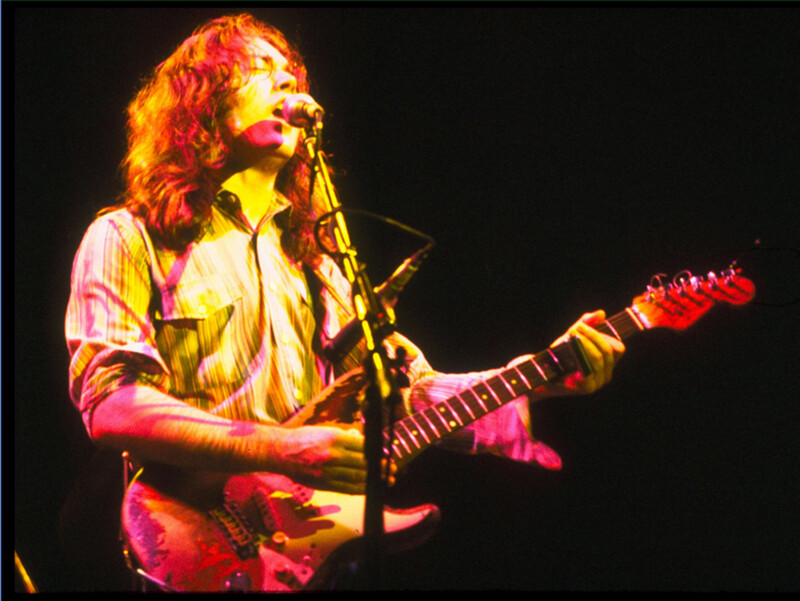 Rory Gallagher was truly a one-off, a man who followed the music instead of following the money. In this age of celebrity culture, the adulation of mediocrity and the clamour for fifteen minutes of fame in society it is inspiring to be reminded of a unique talent. 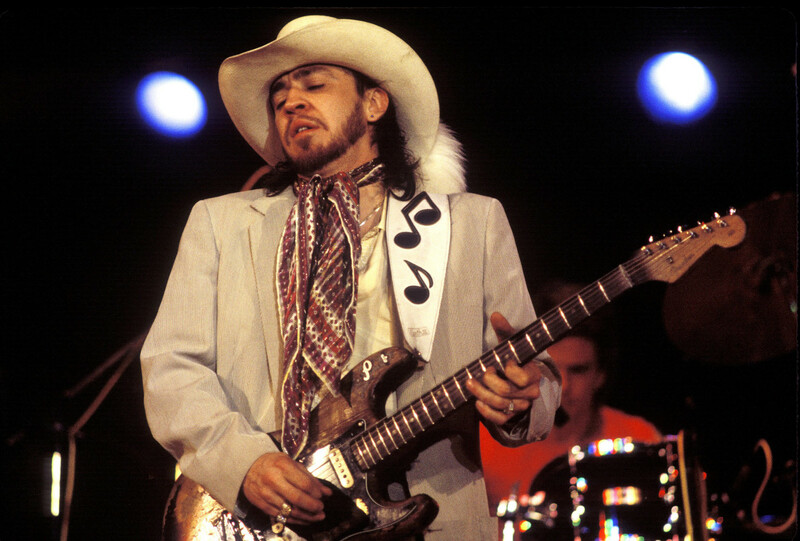 Truly one of the greatest Blues guitarist ever. He did not seek the trappings of wealth, of fame and fortune, he simply wanted to play the music he loved. He wanted to share that with his fans, to entertain and to make people happy. Like many of the blues legends there was sadness and tragedy in his life and he was taken from us too young. But his legacy and his spirit will still burn every time a slide guitar is played or a harmonica is blown and when people gather to experience the joy and the feeling of true rhythm and blues. What is so super about Supergroups? Something I've never managed to fathom out. Seems like a great idea on paper getting a new band together from established stars, but once they put it down on disc then it falls apart. Music promoter and writer Robert Fields said recently on TV that The Apollo was special, it wasn't just a venue, it was a way of life as that was how it felt to the fans who gathered there. One Erecting a two-person tent when you're drunk is much akin to folding custard with boxing gloves. We arrived at the Donington campsite around 7am after travelling overnight on a hired mini-bus full of anticipation and full of beer. This was it! This was what we had all been waiting for after more than 8 years of starvation as the boys were back in town. The Young brothers were back in the city of their birth. What a night! What a momentous occasion! RORY was the reason l picked up a guitar. I'm a professional guitarist & teacher now; l play jazz as well. But this man stands alone. Nobody touches him! I love you RORY GALLAGHER. You are a big part of my life. I saw him twice in Australia where l live. BEST GIGS I HAVE EVER BEEN TOO. Thank you RORY. You will always be my champion. Really a nice article about Rory! There is a mistake about the dangerous concerts , the concert in Athens didn't held place at late 1974 (a little after the Greek military junta had fallen) but in 1981 more specific at 12 September 1981 at the football field of Nea Philadelphia with a crowd of 40,ooo people .It was the first rock concerts in Greece after the Rolling Stones concert in 1967 ( Mick Jagger started giving at the audience red cloves and the police cut the power before the concert ended). Interesting article. I wonder where you got your information regarding Rory's MRSA infection. MRSA is an antibiotic-resistant bacterium, not a virus by the way. It is frequently hospital acquired, unfortunately. Another common infection post-transplant is CMV which is indeed a virus; not so serious if you're healthy but with all the immune suppressing drugs on board it can be of great concern. Do you have actual confirmation on the type of infection? Just curious, huge Rory fan and a medical professional here, wish I could have done something back then for him. Thanks. Wow…you din't miss anything! lots of great info on a stellar musician. Still love that beautiful man today. A real gentleman first and what a musician! Rory was a legend. My fiancé has all his videos,cds,etc. He too is a big big fan. His computer wallpaper is even of Rory. I am originally from Scotland and I agree that Rory certainly does kick arse.! Great hub. Enjoyable read. Voted up. You were indeed a lucky man to have seen him live. Thank you Shinkicker for highlighting one of the definitely underrated guitarist of our time. Rory Gallagher kicked arse ! I was lucky enough to see him live in the late 1970s around 1977 I believe and my memory is a little fuzzy but he was on fire throughout the whole performance. trust me, nobody ever called her mona ..jean noel coghe is wrong ..I grew up with rory in cork.. Thanks for reading and commenting. Great to hear from fellow fans of the great man. Hi Pat I took his mother's name from Jean-Noél Coghe's book. Her full name was indeed Monica although she was also referred to as Mona. his mother's name was monica not mona..
great piece, fitting for the great man. i would love to have seen him live myself but unfortunitly he was before my time. but, ive a rory double dvd 'the best of montreaux festival'. it has songs from early 70's rite thru to his last appearance there in the 80's i think. well worth a look for anyone interested. it did give me goosebumps when i 1st watched it. I saw Rory about 10 times in Cork and once at an open-air concert in Macroom, County Cork. The 10 concerts included Taste's final show in Cork and Rory's solo first Cork gig. Melody Maker or Sounds had the headline "RORY'S HOMECOMING RIOT" for that first solo gig in The Savoy. He was magic, pure magic. Musicianship just oozed out of every pore in his body. I have played guitar now for 45 years and I'm still amazed at Rory's skill and feeling for the instrument from a young 20 year old to his final notes and chords at 47. He lives on in my memory and I listen to him a couple of times a week just for inspiration. My favourite? I FALL APART. An excellent summary of the life of the best guitarist of all time. Saw him every time he toured Australia and the show he did on the tour promoting Top Priority was absolutely scintillating...even by Rory standards. I went with a group of guys all into Clapton, Hendrix, Blackmore etc and they all came away Rory devotees. Still the most brilliant display of live guitar musicianship I've seen in 40 years of seeing live bands. Great post, man! I was lucky enough to see Rory a number of times throughout the South of England in the early and mid 70s. We would travel anywhere to see him because you were always guaranteed a fantastic gig! Also had the pleasure of speaking to him and getting an autograph (sadly lost in the sands of time) - what a gentleman! What a guitar player! What a loss to music and the world. He got me into the blues more than anyone else and his albums are the ones I reach for most regularly. If I could play 1% as well as him, I'd be the most satisfied amateur axe-player in the world! You're a lucky man, I wish I'd seen him live. Saw Rory many times in Scotland,always great shows,still miss him.RIP Rory. Thanks for writing about this amazing guitarist. Not many can do the riff pull-off style with a glass slide still in hand, a truly amazing man. ..I'm back because Rory is the man - and so are you - and it's late here by the loch of Erie in Canada and I'm playing Roy Buchanan - how great is that ..and I'm having an ale or two - lol - heard of Danny Gatton - he ain't the blues but he's good - him and Roy used to have cutting contests with their guitars over the phone - and guess what - they both individually committed suicide - and that's no lie!!!! I'll be reading yours too. 8 years ago from Tucson, Az. Excellent piece. Will be reading more of your material! One of the greatest guitarists of all time. It certainly was a labour of love. I had never realised just how influential he was among top guitarists. Great tribute to an influential musician! Thanks for reading. If you definitely saw him playing then you're very lucky. What a great introduction and epitaph for the guy. I seem to think that I saw him play live in the 70s but where, how etc escapes me. That's what comes of a mis spent youth lol. I did not relise that he had died. Amother sad loss. He was a one-off, such a quiet man off-stage but in front of a crowd he transformed. I wish I'd seen him at the Glasgow Apollo back in the 80's. I was too busy collecting Iron Maiden glitter patches :-) The Blues was for old people. Shows you how much I knew back then. Kudos on a great post -- man, that guy could play.